ELLIS, Carol A. (Cederlund), of Randolph, passed away on February 7, 2019, after a brief illness, at the age of 83. Born and raised in Boston, Carol graduated from Dorchester High School for Girls. 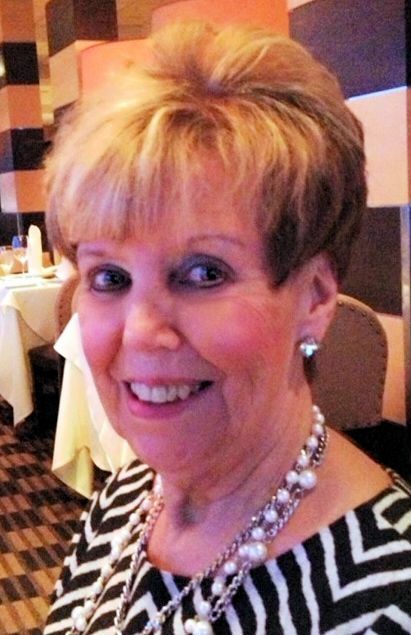 She worked as a sales associate for Lord and Taylor in Braintree for over 27 years where she was a Diamond Star member of the President’s Club when she retired at the age of 80. Carol was known for her elegance and her sense of fashion. She had a passion for music and had a wonderful singing voice. She will be fondly remembered for her kindness and generosity to all who knew her. A devoted wife, mother, sister and grandmother, Carol will be profoundly missed by all. Carol was the wife of the late Richard Ellis. Loving mother of Carolyn Mohr and her husband Hugh of Rockport and Meredith Genatossio and her husband Frank of Franklin. Cherished “Mema” to Morgan, Dean and Amanda Genatossio. Sister of Brendalee Cederlund of Milton and the late Donald Cederlund and Gail Cederlund. Loving Aunt to her many nieces and nephews. Relatives and friends are respectfully invited to attend visiting hours on Sunday, February 10th from 4:00 – 8:00 PM in the Cartwright Funeral Home, 419 No. Main St. (Rt. 28), Randolph. A Funeral Service will be held on Monday, February 11th at 11:00 AM in the Funeral Home. Burial will follow in Blue Hill Cemetery, Braintree. Should friends desire, memorial contributions may be made in Carol’s name to the John Scott House Activities Fund, 233 Middle St., Braintree, MA 02184.